Home/News/Do not miss! Registration for InfAI’s think tank and hackathon “Artificial Intelligence for Smart Agriculture” in Leipzig Open! The Institute for Applied Informatics (InfAI) is organizing the think tank and hackathon “Artificial Intelligence for Smart Agriculture” in Leipzig on May 22nd and 23rd, 2019. 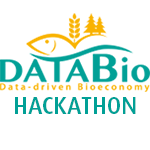 The hackathon is supported by the projects DataBio, Bridge2Era and CiaoTech/PNO. The goal of the Thinktank & Hackathon is to develop new ideas and tools that can demonstrate the use of Artificial Intelligence (AI) in the agricultural sector and for a sustainable bioeconomy. A major focus of the event will be on the topic “Use and impact of linked data for AI components”. Hacks are primarily organized in teams, with all having the chance to join different teams. Furthermore, smaller workshops will support networking and cross-team collaboration. There will also be discussions about future cooperation and ideas for the future of AI-based Smart Agriculture. On May 22nd, the hackathon takes place as part of the Leipzig Semantic Web Day (LSWT). The second part will be held on May 23rd during the DBpedia Community Meeting at the Media Campus Villa Ida.